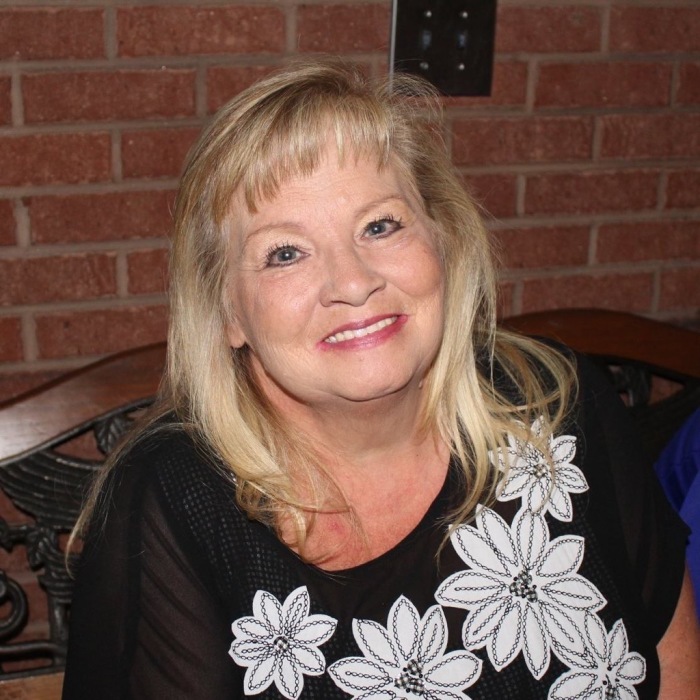 Mrs. Johnette G. Smith, age 61, of Conyers passed away Tuesday, April 2, 2019. She was born February 3, 1958 in Griffin to John and Marie Satterfield who have preceded her in death. Mrs. Smith grew up in Covington and attended Newton County High School. She was a loving wife, mother, grandmother, and friend. Mrs. Smith recently retired as the acting Post Master of the Conyers Post Office. Johnette loved her family very much and treasured her grandchildren and her dog “Peanut”. She was preceded in death by her sister Anna Satterfield Womack. Mrs. Smith is survived by her husband Steve Smith of Conyers, her daughters Stephanie Jackson of Covington and Ashley Smith of Conyers, her grandchildren Taylor and Tori Jackson, her step-sons Shane Smith (Cindy) of Ellenwood and Jeff Smith of Griffin, her adopted daughter Leslie House of Snellville along with a host of other family and close friends. Funeral services for Mrs. Smith will be held at 11 o’clock Friday, April 5, 2019 at the Chapel of J.C. Harwell and Son Funeral Home with Reverend Steve F. Brannon officiating. Interment will follow at Lawnwood Memorial Park. The family will receive friends at the funeral home from 6pm until 8pm on Thursday, April 4, 2019. J.C. Harwell and Son Funeral Home, 2157 East Street, SE, Covington, GA 30014 is in charge of the arrangements. A guest book may be signed on-line www.harwellfuneralhome.com.